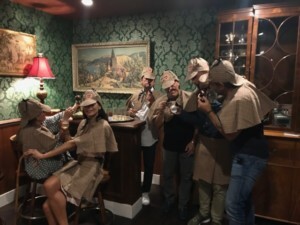 Azureazure.com, a bilingual luxury magazine online talks about our escape room in Miami. Play to be Sherlock Holmes at Escape Hunt in Miami and discover how to be a good detective to solve the mystery and escape the room. Find clues, unlock padlocks, solve puzzles, communicate with your team, be logical, these are the keys of success if you want to participate in our escape room and want to have a fantastic experience. Play an escape room is fun and challenging, it can bring for your group a lot of unity and cohesion. It is a great activity as a team building for companies.